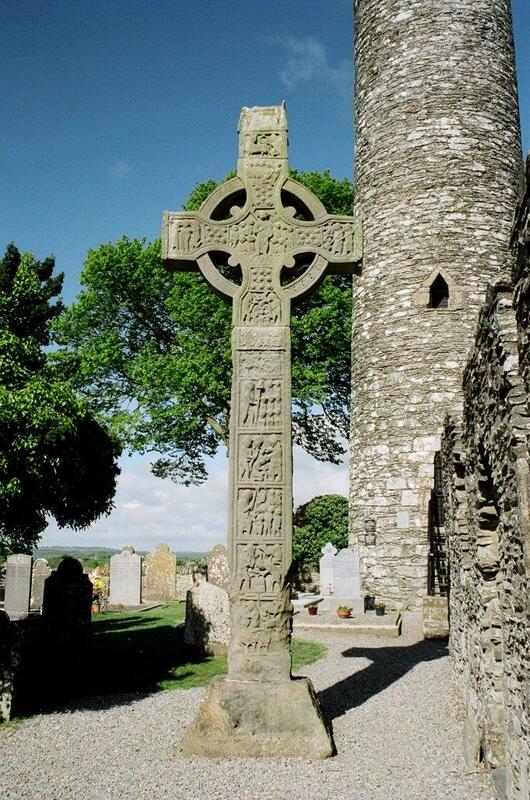 This High Cross is located on the site of an early Christian Settlement at Monasterboice, County Louth north of Drogheda.. 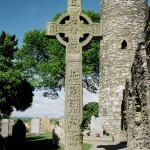 The 10th century cross is known as the ‘West Cross’ and also the ‘Tall Cross’. At 21 feet high it is the tallest high cross in Ireland. The east face (shown) depicts the second coming of Christ and biblical scenes such as David & Goliath, the Baptism of Christ and Christ in the tomb.